The second biggest race on the cycling calendar will roll out today. It's the KREM New Year's Day Cycling Classic in its twenty fourth running. Yesterday, Race Promoter Kwame Scott told us about the rivalries, the personalities and the prestige on this 90 mile ride. Join us on Thursday in our first newscast for 2014, when we'll show you the winners of KREM Cycling Classic. The 24th annual Krem Cycling race was staged on the Phillip Goldson Highway today January 1, 2014. In the Female section of the race, Shalini Zabaneh successfully defended her championship finishing the race in solo fashion. In the Junior male category, Tarique Flowers is the 2014 champion. In the elite section, Byron Pope won the New Year’s Day race in a time of 3 hours 48 minutes and 11 seconds. Coming in second was Carlos Lopez, while Giovanni Lovell rounded off the top three finishers. 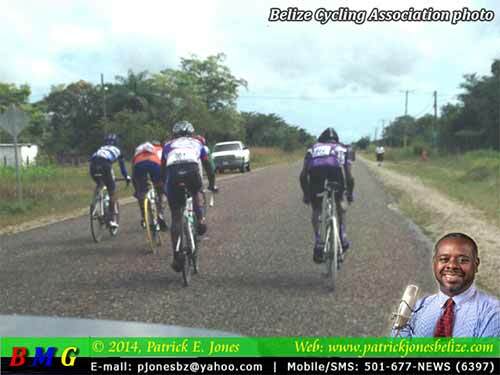 The race started this morning at 9 o’clock in Corozal and riders rode the entire length of the Phillip Goldson Highway finishing at the intersection of Mahogany Street and Central American Boulevard in Belize City. That is a total of 97 miles. The Krem Cycling race is the second biggest event on the Cycling calendar in Belize. Last edited by Marty; 01/02/14 03:49 AM. And finishing up all the New Year's News - we take you to the finish line of the KREM New Year's Classic Cycling Race. Byron Pope crossed the line first, in an unexpected win, for the rider who looked shaky coming out of Ladyville. "I was in the right position and when the two Mexicans entered the curve, they kind of took it too hard and they went a little bit out, so I hit the inside and when I did that I say this is the time now to move and I attacked on the climb to the bridge and I got the gap and I just manage to hold out." "What I have found is that the Belizean riders knowing that he is a top rider in excellent physical condition tend to want to ride behind him and to leave him to lead the race and do all the hard work, but he is willing to take on the challenge knowing that at the end they will be there to challenge him." "For the last part of the race I got puncture at the first round-about and that was it for me. It could have gotten a win today, but I got salt and just wasn't there at the ending." "I feel very happy today to get this victory for my team Benny's Megabytes and to win this race knowing that we had the defending champion on our team." BYRON POPE Round Trip Ticket to USA Courtesy American Airlines + $2,000.00 Cash + 1 cell phone courtesy SMART, and a Trophy. Shalini Zabaneh was first in the women's race, easily beating the pack and claiming her fifth title. 2013 is wound down, and the New Year 2014 is here, and it begins with the full blown spectacle of the 2nd biggest cycling event in the 2014 calendar – as over a hundred cyclists, male and female, from Youth to Masters, local and foreign, first timers, veteran warriors and past champions are all getting ready to gear down for what has become a Belizean tradition now about to enter its 24th year – the Krem New Year’s Day Cycling Classic. Coincidentally, the first KREM Cycling Classic, won by Michael “Big Wire” Lewis, took place on New Year’s Day of 1991, the same year that the first semi-pro football season kicked off in Belize. The Premier League is right now in the heat of perhaps its toughest and most exciting race to their playoffs. Playoff bound teams will likely not be finally decided until next weekend, although some teams might clinch a playoff spot from this coming Sunday. But cycling is a different story. In this Wednesday’s KREM New Year’s Classic, it will all be decided once and for all on New Year’s Day, when fans will welcome the winners as they cross the finish line at the junction of Mahogany Street and Central American Boulevard. The “playoffs,” if there are any, are being decided with registration deadlines and the technical meeting tonight at the UWI campus on Princess Margaret Drive. And all vetted cyclists will get a chance to compete for the prestigious KREM Classic championship which comes along with what is certainly the most enticing package of prizes ever for this race. Where previously the race station prizes only included one of a thousand dollars, there are now four such prizes along the way to the finish, where there is an even bigger bag of prizes for the champion. And there are many other smaller station prizes along the way. All the big names in Elite cycling are in the tentative starting list we saw yesterday, though there has been some movement of members from one team to another. Notably absent from the team list is the Santino’s team. But the new SMART team features a number of former Santino’s riders – Cross Country champion Darnell Barrow, Joevin “Froggy” Leslie, Quinton “the Baddest” Hamilton, Herman “Hijo” Requena, and Guatemalans Carlos Cambronero-Hernandez and Cristian Alvarado-Lopez. Benny’s Megabytes consists of Byron Pope, Allen Castillo, Mark Staine, defending KREM Classic champion David Henderson, Jr., Ruben Cano, Brandon Morgan, Robert Liam Stewart, and 2 Mexicans – Carlos Lopez and U-23 Jose Anguiano-Gonzalez. The Bel-Cal Cycling team consists of Justin Williams, Frederick Sutherland, Dwight Lopez, Dean Middleton, Calman Williams, George Abraham, Sr., Shelton Graham, and USA’s Rainel Sanchez. Western Spirit is now made up of the Troyer brothers – Roger and Richard, the Vasquez brothers – Shane and Ron, along with U-23’s Oscar Quiros, Jr., Deezan Spence and Austin Armstrong, Jr. The Telemedia team features the Lovell brothers – Gregory “Bullet”, Giovanni and George, Jr., along with Joel Adan Borland and Marlon “Diesel” Castillo. 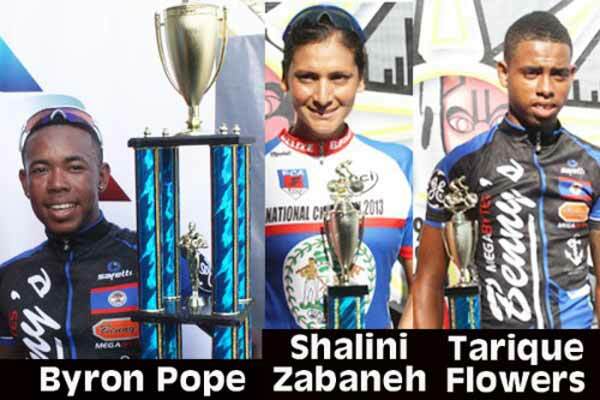 Capital City Cycling Team has only 3 members – Erwin Middleton, Adrian Gardiner and Tariq Cano. The Mexican team Depredadores, strangely, includes 2 Belizean riders – Nissan Arana and Jairo Campos, along with Mexicans – Julio Dzul-Alcocer, Manuel Ayala-Balam, David Balan-Interian and Omar Gomez-Canche. The Unattached list of riders include – (USA) Anthony Taylor, (MEX) Juan Manuel Yapur, and Belizeans – Leroy Casasola, Richard Santiago, Phillip Leslie, Eldon Simmons, Jordan Lewis, Kent Gabourel, Jr., Orson Butler, Henry Moreira, Anwar Barrow, Michael Wagner, Jr., Philton Butler, Joslyn Chavarria, Jr., Cheng Lee Hao, Chris Ramirez, Christian Madrid, Trevon Salazar, Angel Tzib, Ron McKenzie and Shannon Black. The Women, Juniors/Youth and Masters 4/5 in this year’s KREM Classic will all travel the 50-mile journey from Orange Walk Town to Belize City. The Female race, though so far only including 6 contestants, will feature at least 3 past champions – 2005 champion Marinette Flowers (unattached), 2006 champion Alicia Thompson (Belize Bank Swoosh), and 4-time (2008, 2010, 2011 and 2013) and defending champion Shalini Zabaneh (Sagitun). Other participants include Patricia Chavarria (BECOL), Gabrielle Lovell (Telemedia) and Kerah Eiley (unattached). The Ladies version of the KREM Classic was first run in 2001, so this would be the 14th running of the female KREM Classic. Karen Rosito was the first female champion in 2001. Fourteen promising young riders will compete in the Junior/Youth categories, and there are 32 competing in the Masters 4/5 category, including 5 Mexicans. The Junior/Youth teams include: (BECOL) Zahir Figueroa, Adrian Aleman, Delon Gentle and Keion Robateau; (Cayo High Road) Devin Azueta and Zamir Rashad Guerra; (Mando’s) Michael Grajalez, Zamir Esquiliano and Phillip Mencias; (Benny’s Megabytes) defending champion Tarique Flowers and Delawn Abraham; and (unattached) Dennis Arnold, Darien Anderson and Darnell Garcia. “From the border to the Belcan!” It is KREM Classic time! Happy New Year to all! !